Your house was a great project for us - working on Lake Pontchartrain was a daily reminder of Louisiana's beauty and why we choose to live here! Thanks for giving us the chance to work with you. Call us any time - we love working with you! So glad you and DK gave us the opportunity to build your dream home - thanks for putting your trust & faith in Savoie! Thanks for the recommendation, Elaine. So glad you are pleased with our work and effort. We appreciate your trust in us and are grateful for being able to help you realize your dreams. May you and your family build many wonderful memories in it! What a great project to work on - glad you and your family are enjoying it! 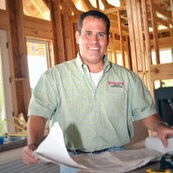 Thanks for letting us build your dream home - we had so much fun working with you! Thanks for choosing us - it was our pleasure to work with you and Faye!